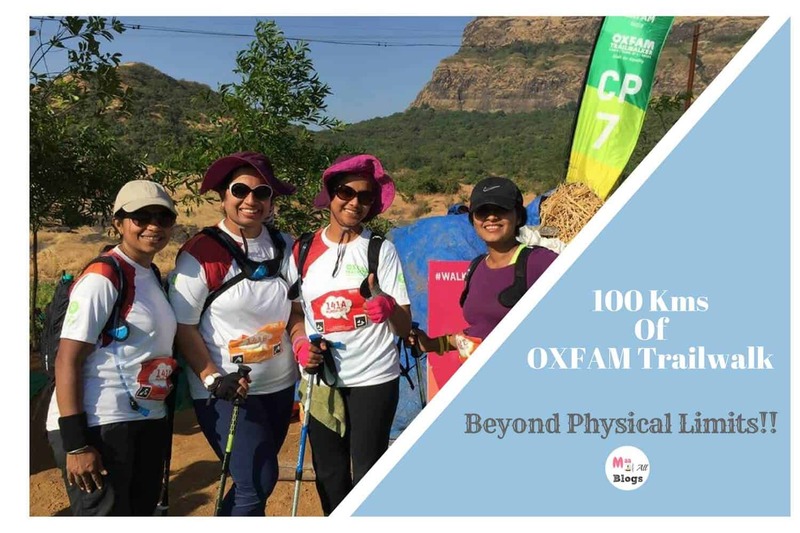 100 Kms Of OXFAM Trailwalker- Beyond Physical Limits!! Sometimes you are inspired, sometimes you just react based on impulse. 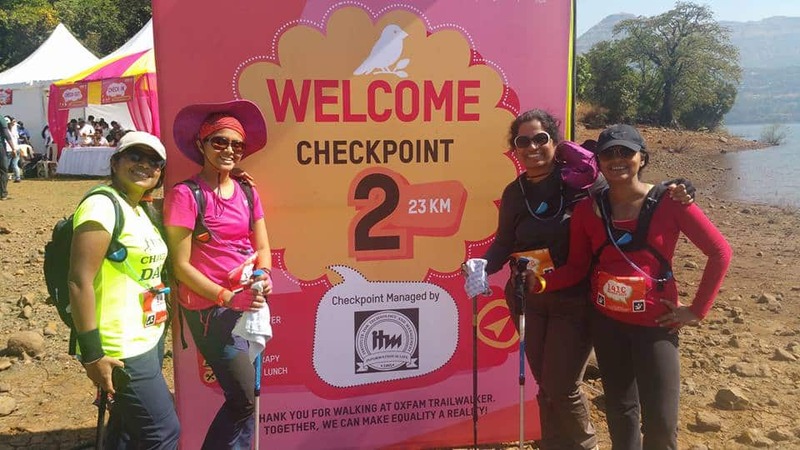 In one such fleeting moment and inspired by my beautiful Iceland trek, I agreed to attempt the #OxfamTrailwalker this year along with three other women Leena Shoor, Radhika Balakrishnan, and Meera Prashant, women I didn’t know at all before this. 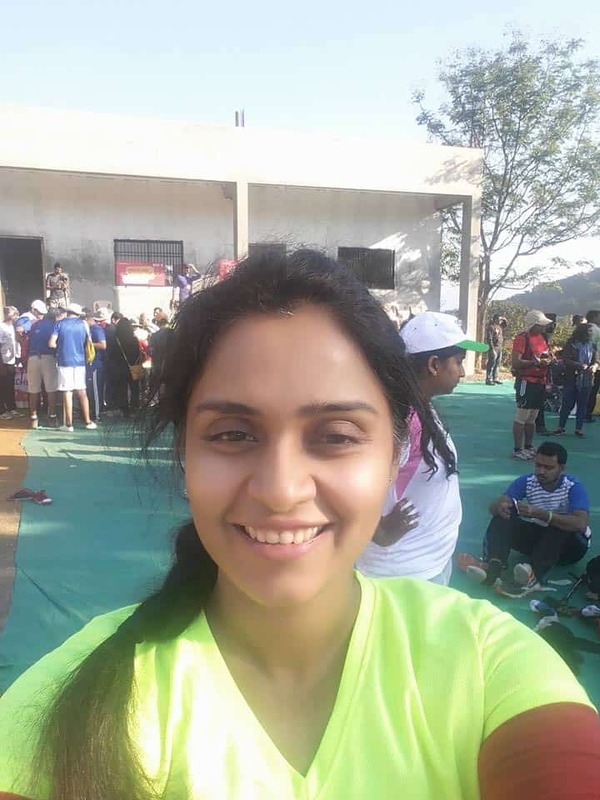 While the task of 100 kms seemed daunting, I knew I will finish it. If you know me and have been reading my blog for sometime you know whether I am dead or not, I have never left a task incomplete. Rules are simple. To participate you need to be a bit crazy in the head(who in their sane minds will want to do this?) 18 years or above and you need a team of 4 members and raise a minimum of 80,000. We manage to raise 1,26,000 to the cause. The team needs to pass through 10 checkpoints together and swipe their RFID watches. In order to withdraw, the participant must complete a retirement certificate at one of the checkpoints. A team with less than four members cannot continue without a copy of the retirement certificate. The complete team to reach first wins. You must wonder why the need for retirement. Well, it’s a possibility many consider in the trail and many exercise. But before you read why is it an ordeal, even tougher than Everest Base Camp, in my opinion, let me introduce you to my teammates. 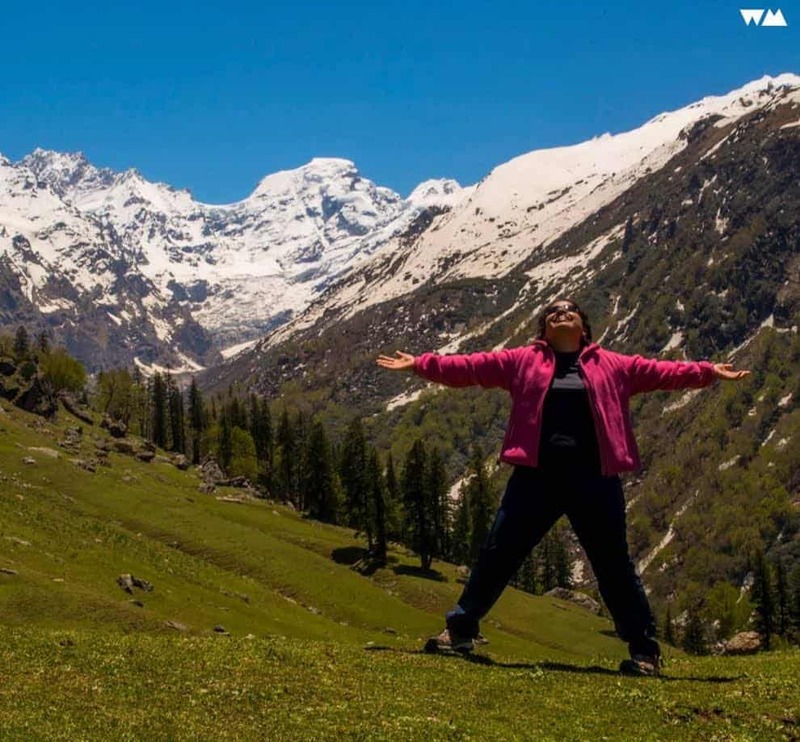 Meera is a travel enthusiast, always looking for a new story, a new experience. She is a dreamer of possibilities, a dancing queen, a music lover and an optimist. Her motto is to try everything once. 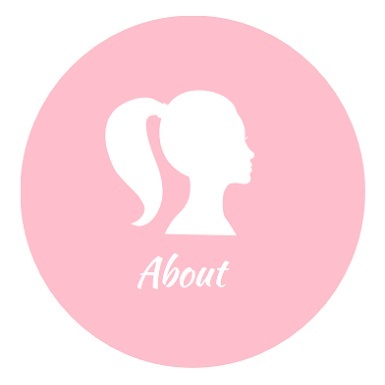 Prerna(yours truly) is a mommy fitness blogger and travel enthusiast. Fitness is not a fad for her but a lifestyle. 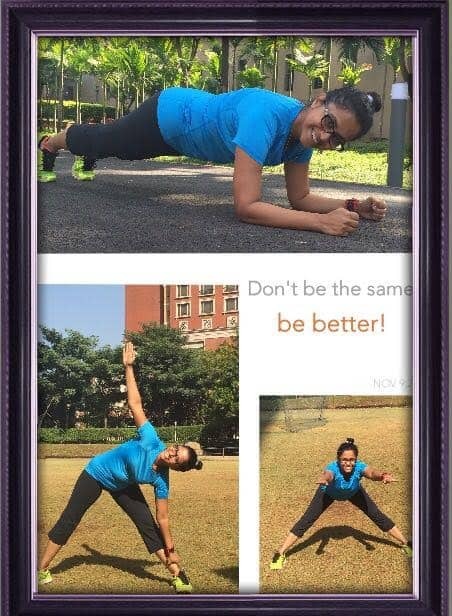 She has been running half marathons since last 5 years, practices Ashtanga yoga and hits the gym for some mean strength and core training. She hopes to inspire more women and most moms to pick up fitness. 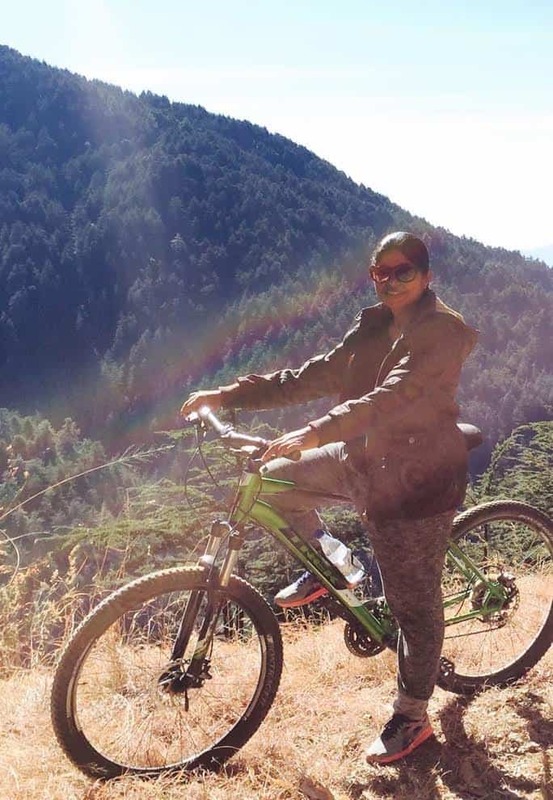 Radhika, an ex-banker, and a CA by profession, a fitness enthusiast, a student of Vedanta and Carnatic Music has a calm composure and believes in doing her best in every aspect of life. She loves travelling and adventure. 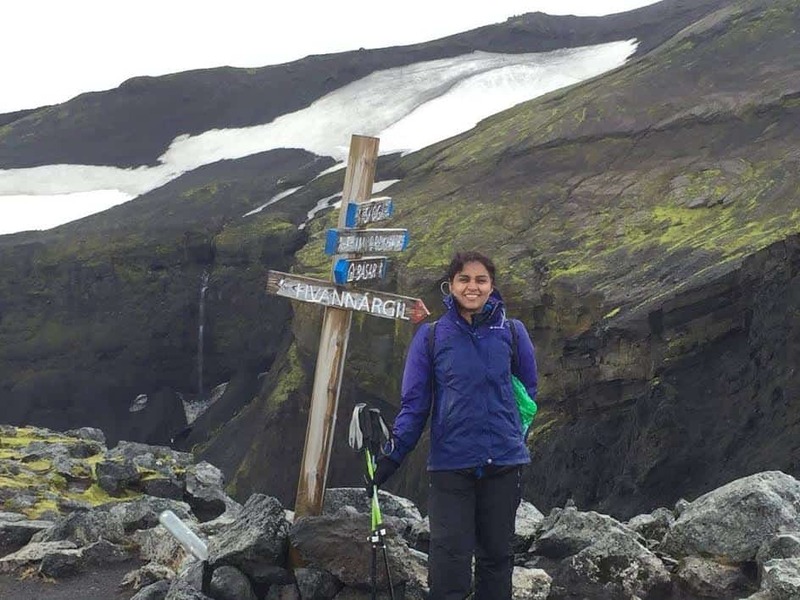 Having done bungee jumping on the Zambezi river, scuba diving at the Great Barrier Reef and a couple of half marathons under her sleeve, she undertook the challenge herself further with the Trailwalker. 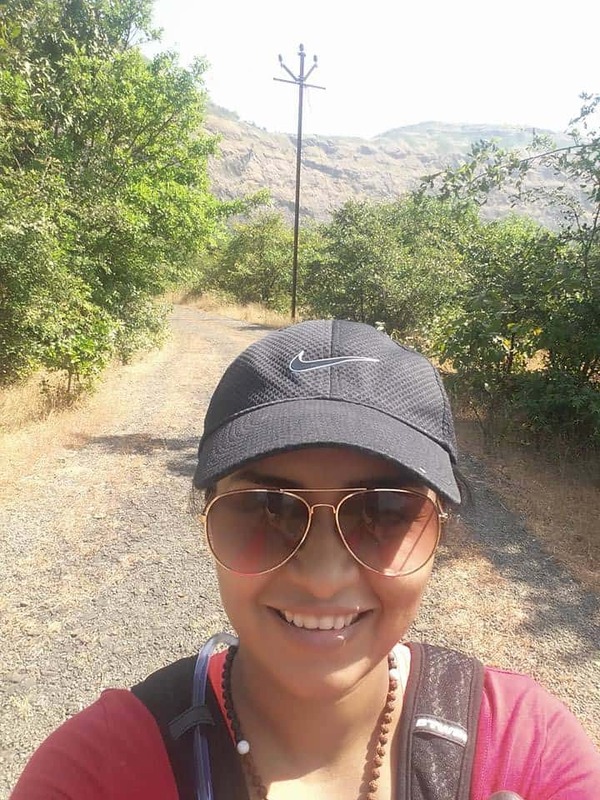 A lifetime Marketing Professional, Leena was on a break when we did the trailwalker but in that break decided to do it all- from trying Zumba, to learning swimming, running half marathons, to dancing on stage for local celebrations! While overall fitness is important, I strongly recommend climbing 2-30 flight of stairs 2-3 times a week. Maybe with ankle weights. Going for long walks. Start with walking 5 kms 2-3 times a week and longer walks 10 kms walk on the weekend. Increase that to 15, 20, 25, 35 every week. As a team, we even geared up and did one mock trail walk from CP 1 to CP 2 before the actual trail walker. The benefit of that was that on the main day this distance felt familiar and easier. Oxfam also organises practice walks before the event which you can join in. They play a very important role. When you have crossed a few Checkpoints(CP) you are in no mood or state to fetch for your food or even refill water in your water bags. Small administrative operations feel gigantic. 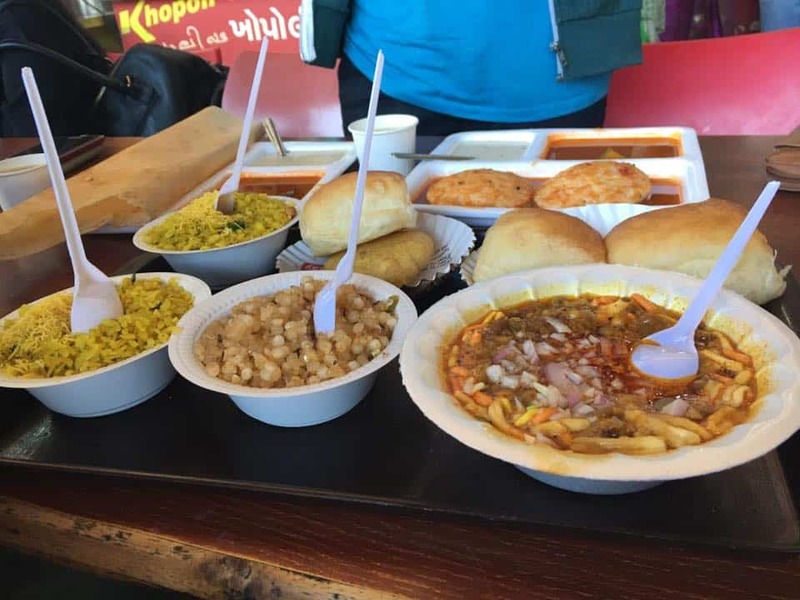 We did not have anyone volunteering for the support team so we had Radhika’s driver and Leena’s driver, Anilji as our support staff and they did a splendid job. 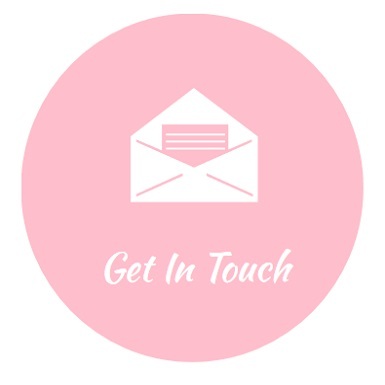 However, sometimes, you need someone to just boost your morale and so would totally recommend emotionally blackmailing family and friends to join in. Rahul Bose flagged us off at about 6 am. It was still dark and we wore woken up with the energetic sounds of the dhols and bhangra music. The enthusiasm was riding high and we some of it was brushed on us too. I remember we all gave news bytes to the OXFAM social media team on why we an all moms and women’s team had taken up this challenge. The trail looked easy and lovely for the first two kms and as we knew we came back to the road we had started from to finally start climbing for the next few kms. Since we knew what to expect here we finished the first lap in really good time. We were amongst the first few teams to reach the CP1. 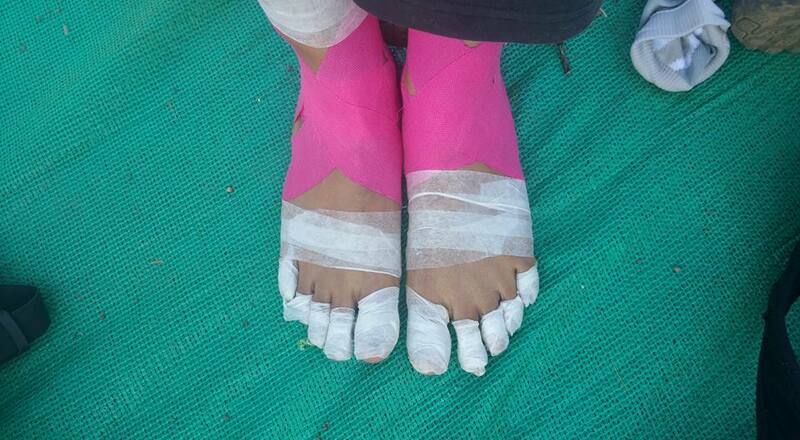 Here we had breakfast and as planned Meera and Radha changed their socks and blister tapes. They had planned to change their taping at every CP. A mistake which we will realise later. We refilled our water bags. The Camelbak waterbags that we were carrying had a capacity of one litre of water as we wanted to keep the backpacks light. Apart from this, we carried a tetrapak of enerzol with us and some nuts and chocolates. Some SOS stuff like Relispray, band-aids and pocketknife etc were divided amongst all of us so that no one person had to bear the weight. We walked dressed in our chance pe dance Tees with a single walking pole, sunglasses and our hats. CP 1 – Time of Entry: Around 9.00 a.m.
Exit Time – 9.30 a.m.
From CP 1 the trail goes behind the school and then there is an ascent. You pass through dry grasslands and go on the road, finally, you go downhill and end up near a lake. CP 2 was set along this lake. We reached here by 1 pm and broke for lunch. As planned, we did physio as well. 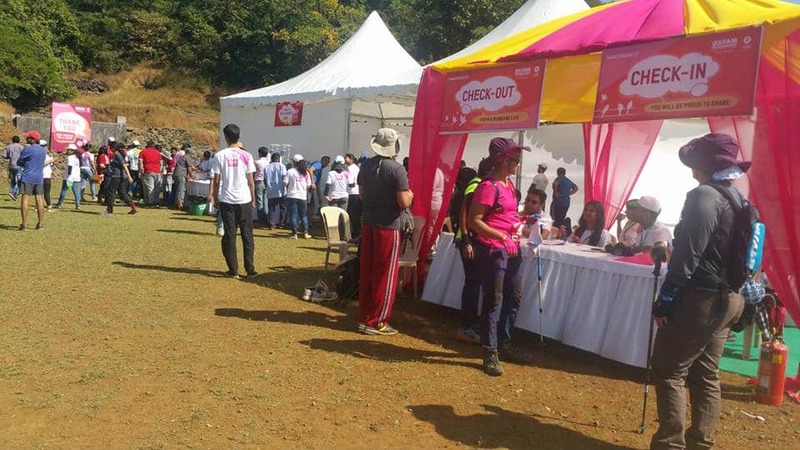 Our support team was there with theplas and coconut water(some luxury that you can indulge in while on the trek). However, we ate the packed lunch thalis that were given to the participants. 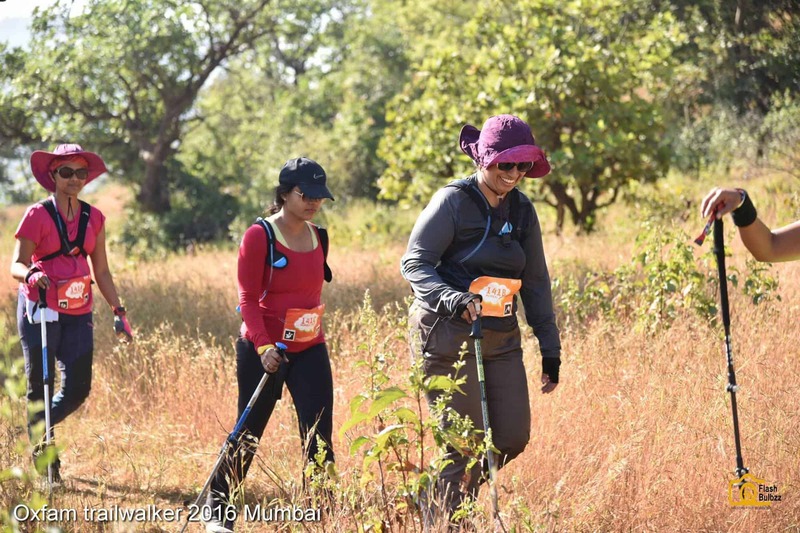 CP 2 – Time of Entry: Around 12.30 p.m.
Exit Time – 1.30 p.m.
By now, the toughness of the trail and the heat was playing on me, I was flagging down and was feeling dehydrated. With the scorching sun on our back, we pushed through the dry grasslands, crossed some small streams(small brooks- you don’t get into water at any time). This was probably the toughest stretch. We had covered only 33 km in 11 hours. Our entire planning was going haywire. CP 3 – Time of Entry: Around 5.30 p.m.
Exit Time – 6.15 p.m. It was cooler now but it was time to take out the headlamps and not to miss the trail which was marked by somewhere by orange ribbons, somewhere by white paint and others by a neon tape. 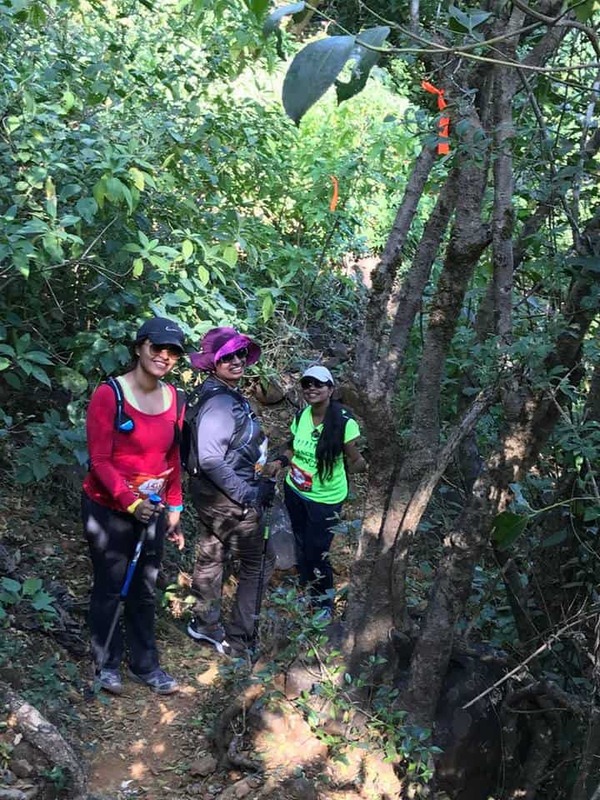 It was abrupt and we had to keep a vigilant eye not to miss the trail as told to us by our friends who had completed the trailwalker the previous year. By the time we reached CP4 we were exhausted at CP 4 – at this point, we were 40% done. Muscles we didn’t ever think of, woke up to sing songs of torture. 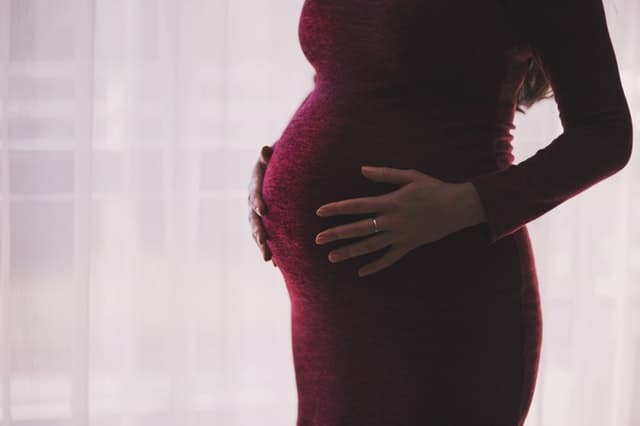 But we were a team of mothers – bring it on, we said! A lot of teams had camped here for the night but that would mean the next day would be daunting. We were lucky to find an amazing physiotherapist here, who actually fixed us and brought life back into our limbs. We had dinner and were off again in the jungle through hills and dry grasslands. CP 4 – Time of Entry: Around 9.30 p.m.
Exit Time – 10.30 p.m. 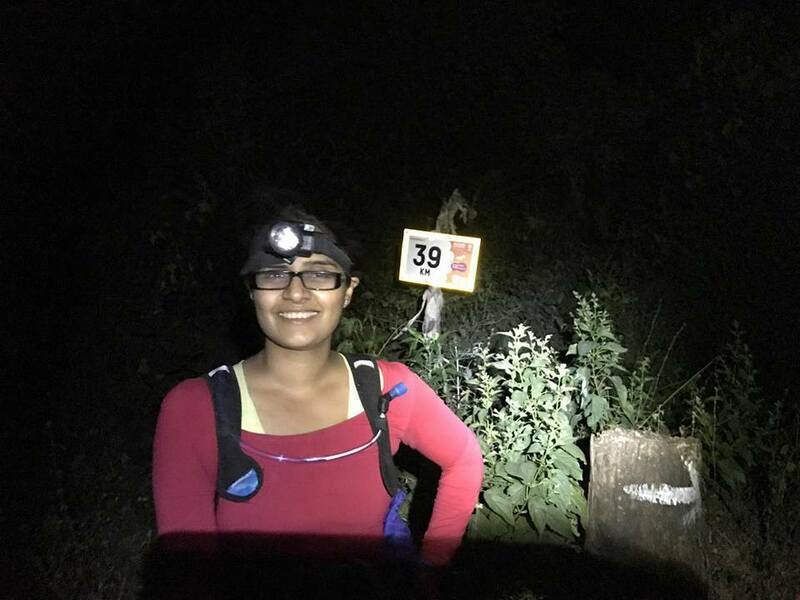 I was a bit sceptical about walking in the night but once I knew I had no choice, I was leading four teams through the dark and dreary trail. We heard the call of the wild animals and found snakeskin on the trail. There was just one-night marshall camping in the middle of the trail and he too had retired for the day. The trail was just 6.25 kms and we thought we can cover it easily but it by the time we reached there it was already midnight and by now all of us were dead. 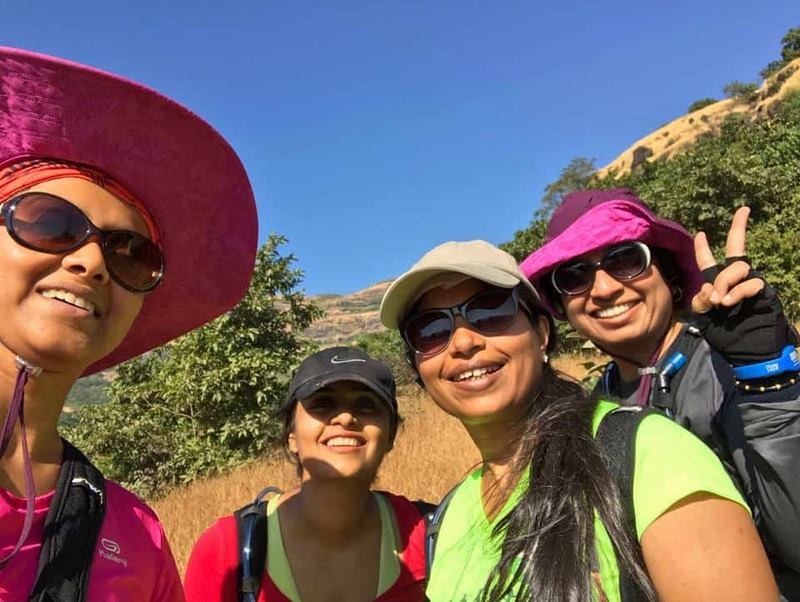 Meera’s adductor muscles were acting up, Radhika had some 8-9 blisters, Leena and I were just dead. CP 5 was an open tent and it was very cold. There were beds in the tent where I lied down and was ready to doze off. 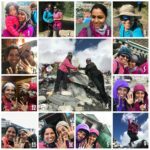 I looked at my teammates through the corner of my eye and I could see both of them(Radhika and Meera) squealing in pain as their blisters were being burst by a nurse there. Taping, again and again, had actually caused the skin to peel off and these blisters now had pus. All the other teams decided to take a break here but we knew that 50 kms the next day would be a crazy task. 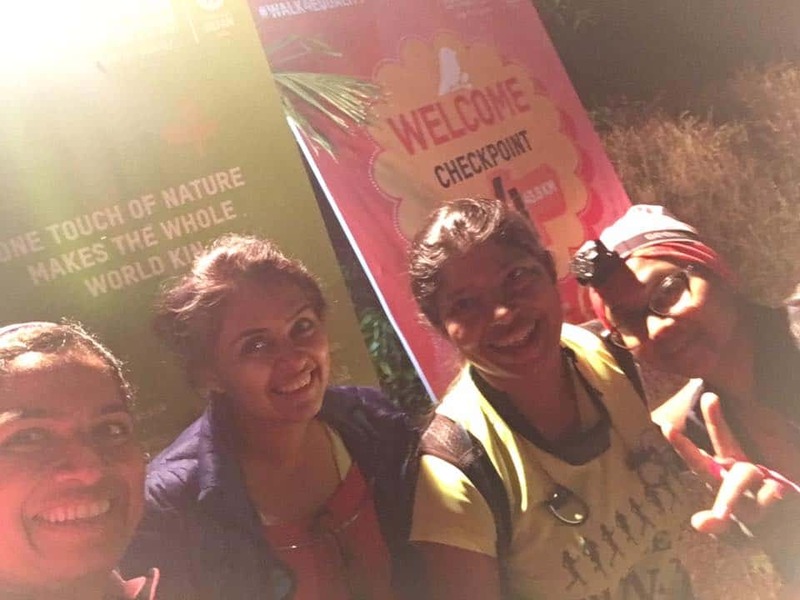 When Leena and I put the point across I was half unsure seeing their condition but these brave women surprised me walked with us in their pain at 2.30 am in the night through the jungle. In fact, at one point in time I was unsure of only us four women walking through the jungle at that time but the three of them had no fear. CP 5 – Time of Entry: 12.30 a.m.
Exit Time – 2.30 a.m. The trail was pitch dark and unusually quiet. You could see nothing before us or behind us. Today when I look back, I think we were crazy to have walked at that time in the night. If we had screamed also no one would have heard us. The path down was steep, and there were several climbs. I have never seen clearer skies than this. We carried on like zombies and became delusional at times where we could see faces in the hills around us. The main road finally emerged at the crack of dawn. CP 6 was a school compound and we could finally sleep. It could not have been that simple, could it? We had to swap our RFID bracelets and search for someone to do that at the check-in counter. It was 6.30 a.m. already. CP 6 – Time of Entry: 6.30 a.m.
click on this to READ MORE to know what happens the next day. Do we make it, do we not? What challenges we face. Tips on how to prepare and our learnings. Exploring, seeing new places, and getting fit at the same time – very inspiring indeed. U are truly an inspiration, I always felt that we have some limitations with kids but after reading this post I strongly disagree with my thought… Plz share your diet plan and workout routine I really want to know. I cannot even imagine doing this. This must have been so much fun. So inspring dear. more power to you. Hats off to you ladies. You are truly inspirational. This must have been an experience you’ll cherish forever! Must say I was a life time experience for you. Thanks for the visual trip. Wow this post is so much fun and interesting to read. Love it. One requires lot of courage and strength to take up such roads in life. I salute you all for the immense strength. Seems you enjoyed a lot on this trip. Glad that you had a great teammate throughout. One must always take break and go for such adventurous trip. It is really adventures with Fitness and exploring new places is always fun.. 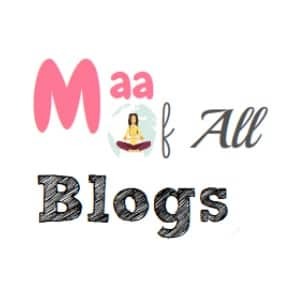 Wonderful blog.. lots of learning for our TW in bangalore. Thanks a bunch!